Heading west again, this time we opted for the country roads instead of the super highways. 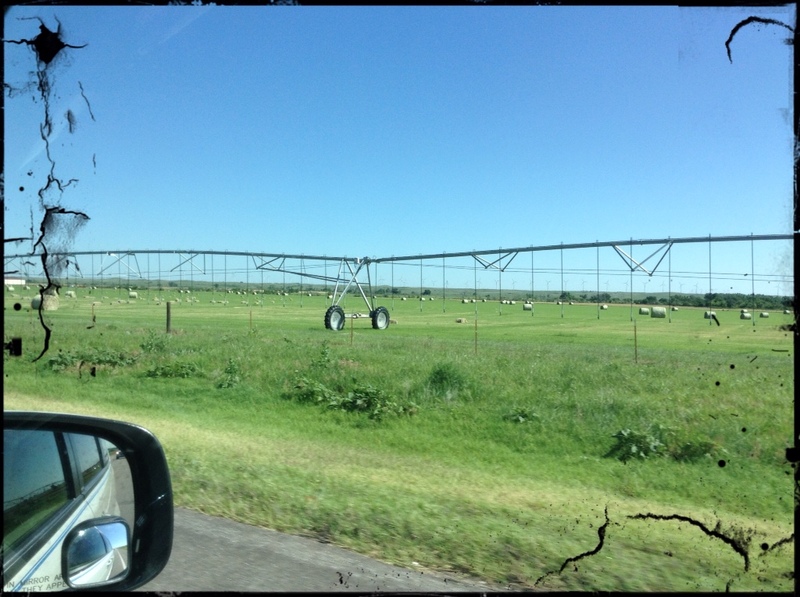 We headed out through Kingfisher, Woodward and Fort Supply. Lots of wheat farming up in this western corner of Oklahoma and after all the rain last month, everything is nice and green. 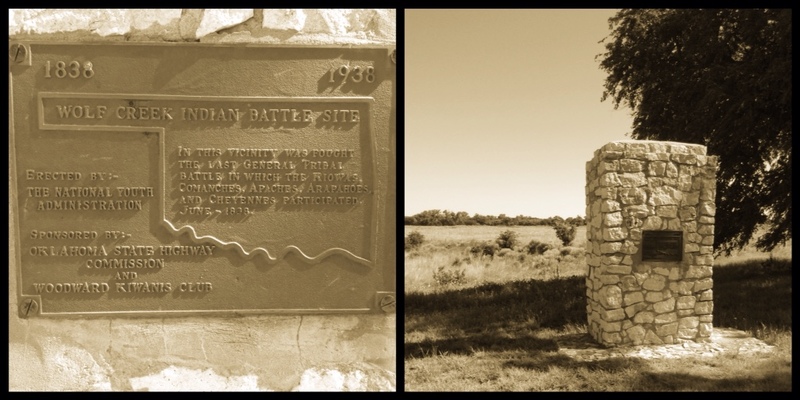 At Fort Supply we stopped at a roadside marker that indicated the last general tribal battle at Wolf Creek in 1838. There is a historic site museum type experience that we thought we might go have a look at but it now appears to be entrenched in the correctional facilities yard and we couldn't access it. 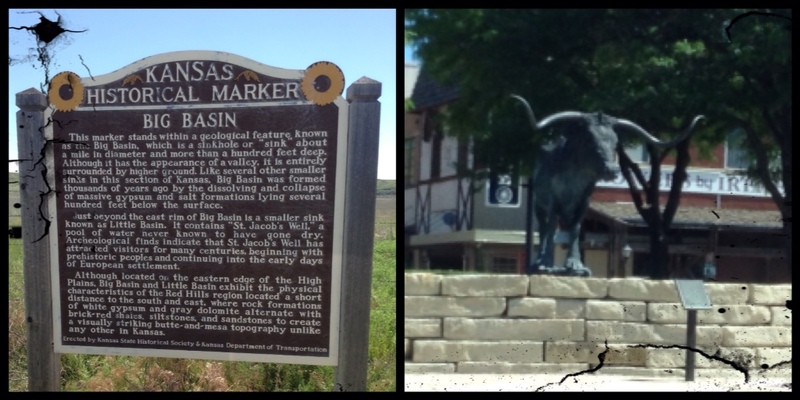 We are on the Chisholm Trail Corridor and soon we will cross into Kansas and keep North onto Dodge City where we will stop for lunch. 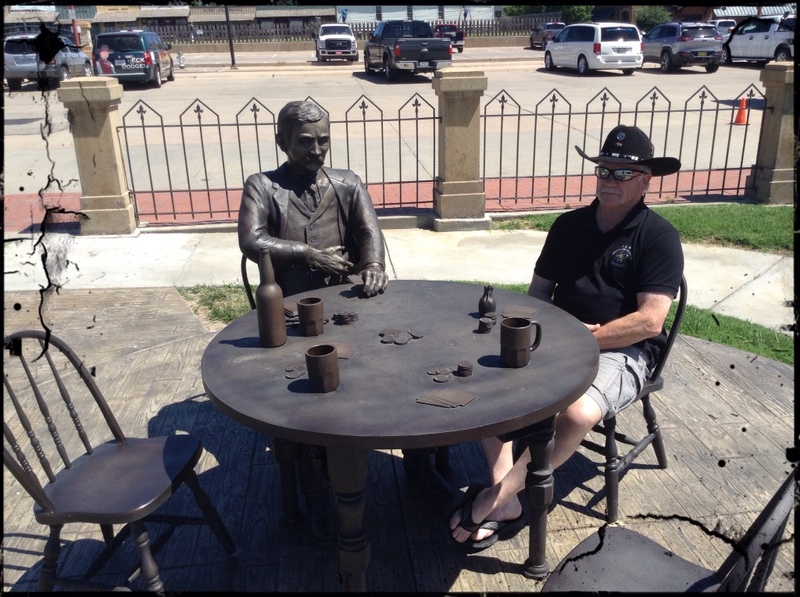 Jack took a break and visited at the table with Doc Holliday briefly! 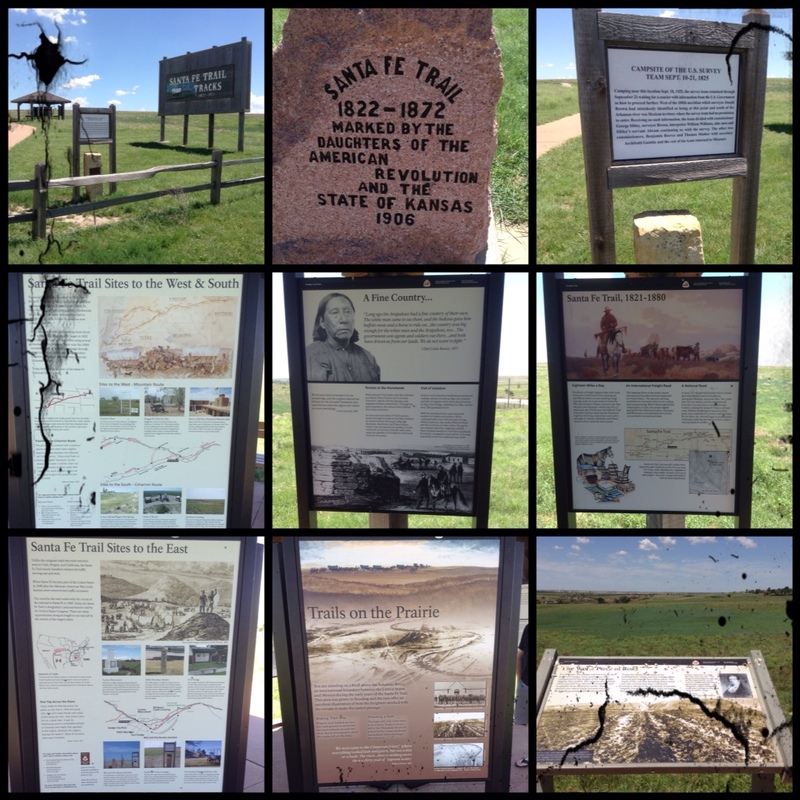 Just outside of Dodge and we are heading west on the Santa Fe Trail now. 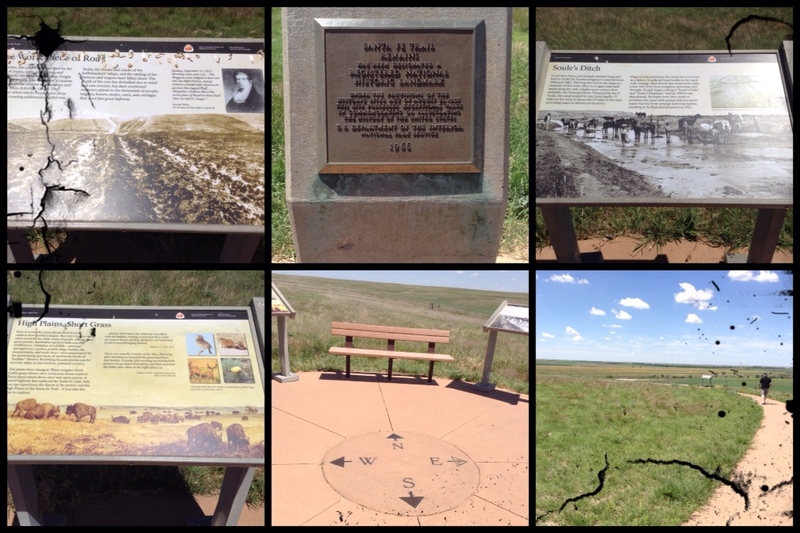 On the highway there is a Santa Fe Trail park stop with information that we hadn't stopped at before. It's incredible to think that anyone made it across these open prairies with next to nothing in between, little water and enduring heat and/or bad weather? We've now crossed into Colorado and on to Pueblo which will be the stop for the night. Well, we forgot about the time change and gained an extra hour so staying in Cañon City with mountains as the backdrop and Royal Gorge close by.